The year 2019 is less than two months away, and to welcome the new year with family friends over hotpot and karaoke is an excellent idea. This season, String Champagne Karaoke Club is launching early bird offers for advanced reservations on year-end parties, featuring a collection of selected wines and hot-pot options. Salted duck egg yolk and pork meatballs, handmade cuttlefish meatballs, handmade pork meatballs, chicken and quail egg meatballs, pork meatballs stuffed with mango, beef meatballs stuffed with papaya. 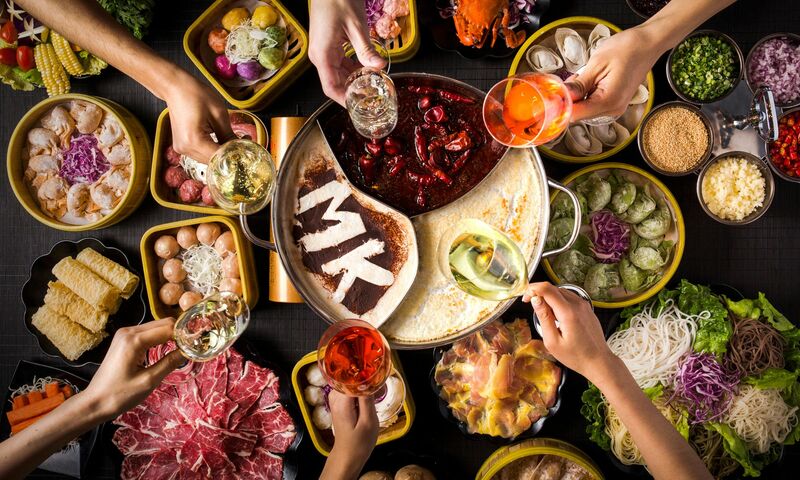 The New Year’s Eve hot-pot and karaoke set menu also includes one bottle each of Louis Perdrier Brut, Copperidge California chardonnay, and Copperidge California Cabernet Sauvignon. Guests placing a reservation on or before November 30 can enjoy an unlimited refill of classic champagne cocktails such as Bellini, Mimosa, and Black Velvet. The one-night exclusive menu is priced at HK$800 per person, with additional 10% service charge with a minimum of 10 persons. Online reservations are available here.